So you’re a student at faculty X and you’ve heard there’s an election coming up. As you, the average student, pride yourself in not watching TV or having any knowledge about the dreaded Romanian (or any) political stage, we’ve decided to sum up the parties and programs put before the ever-wise Romanian electoral masses in the December 11th 2016 parliamentary elections. Let’s start from the beginning, namely the 2012 parliamentary elections. It was a lively year, the culmination of a Maya-related doomsday scenario and, more importantly, the high point of a long confrontation between president Basescu, joined by a handful of unwilling supporters from his then-governing party PDL, and the extremely large and media-present USL, the alliance of PNL (liberals), led by Crin Antonescu, and PSD (social-democrats), led by prime-minister-to-be Victor Ponta. In July that year, after a few “crossings of the floor” from the dying presidential party PDL to the USL parties, the same parliament that supported a Boc and Ungureanu government changed the heads of both Houses, the Ombudsman and finally voted for a referendum to impeach the president, causing some to cry out “coup”. The referendum against the president, although successful, was invalidated due to low turnout, but the bitter Romanians, encouraged by USL and its media lackeys, continued to blame Basescu for anything wrong in the country, from the post-2008 austerity measures to the weather outside. Therefore, come the 2012 December elections, they voted in an USL government (58.6% to PDL’s 16.5%) whose sole purpose was to undo anything that the president attempted or even thought to do. Two years of “intra-palace” tension between the Ponta government(s) and the presidency followed. This stressful state somewhat continued after USL broke up and Ponta spectacularly lost the presidential campaign in 2014, following what was probably the most ethno-centrist, hate-based campaign in Romania since 1990. In November 2015, after the Colectiv tragedy, Ponta, previously missing for months without any reason, hiding somewhere in Turkey after a supposed knee surgery, finally left the legal haven of his PM seat. Thus PSD lost the government. Following the national trauma which went on for several weeks as more and more Colectiv victims died due to injuries and hospital infections, Dacian Ciolos, former minister for Agriculture in the Tariceanu government for a little more than a year, then European Commissioner for Agriculture, was named PM by president Iohannis, whom PSD officials now treated as a “serious” partner for dialogue, despite naming him an infertile, child-selling foreign landlord during the presidential campaign. Ciolos began forming his cabinet, mainly pulling in experts that stayed out of the mud of national politics or that previously worked for EU institutions. In this way, people like Vlad Voiculescu, Raluca Pruna, Mircea Dumitru, Cristian Ghinea, Dragos Pislaru and Anca Paliu Dragu got into office, but also soon-to-be-controversial names like Petre Toba or the PSD-backed Vasile Dincu, who did everything in his power to block any sort of reforms. As the election drew closer, the Ciolos cabinet came increasingly under fire from PSD and ALDE, which fancied themselves as the opposition, although holding a parliamentary majority and spilling out law after law meant to please their electorate. This way, the two parties successfully managed to be at the same time both in opposition (to the Government) and in power (in the Parliament). Where do I begin telling you about Ilici and the gang? Should I start with those good old days when miners came to Bucharest and “restored order” by randomly beating students senseless in the streets, only to be later thanked by president Iliescu? In various formats, but until recently with the same people, FSN/FDSN/PDSR/PSD has been the dominant actor on the Romanian political stage since 1989, grouped around the first post-’89 president of Romania – Ion Iliescu. After his successors – Adrian Nastase and Mircea Geoana – failed to secure the presidency, the party put at its front the young Victor Ponta, initially thought of as a front man for an occult group of “elders” that controlled everything. However, after the resounding success of the 2012 parliamentary elections, Ponta asserted tighter control over the party, aligning himself with “baron” Liviu Dragnea, a longtime strongman and mouthpiece of local branches of PSD, while the PSD “old guard” was severely weakened by the anti-corruption prosecutors. 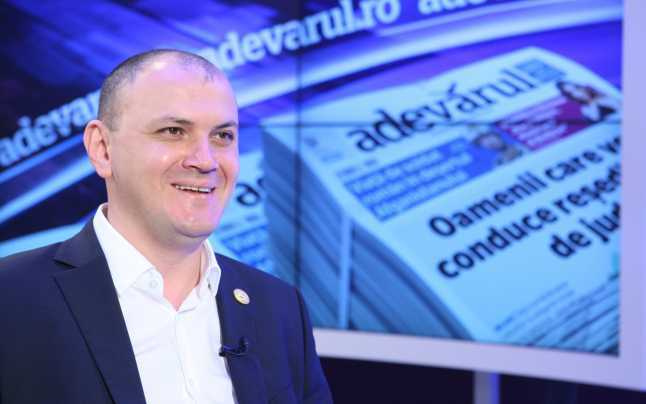 Once in control of both the party and the government, Ponta started to promote his own people in key positions, such as shady businessman and Romania TV owner Sebastian Ghita and former college buddy Dan Sova. It was after the first round of voting during the 2014 presidential elections that Ponta’s downfall started. Even before he was officially defeated in the polls, Ponta lost control of his own ranks, with various factions starting to fight among themselves for positions. After losing his bid for presidency, PM Ponta was a political corpse. Dragnea gained more and more control over the party, finally pushing his former ally into obscurity without too much fuss. Lacking imagination, Dragnea returned to the old PSD recipe for political discourse: the nation, economic security and fear-mongering aimed against the “foreign” government and its outspoken supporters – USR and PNL, even president Iohannis. He went on speaking of the evil plot made by the same three political actors to fraud the election to their own benefit. As for doctrine, in a relatively short section, PSD stresses again and again their vocation as a left-wing party dedicated to the common working people and their needs. In truth, every intelligent person in Romania seriously doubts the proclaimed political orientation of Romanian parties. On its official page, PSD also admits its mistakes relating to the diaspora – the “biggest creditors of our country” – and to Transylvania, where social-democrat votes have been scant. Economically, PSD promises something that socialists typically don’t – to decrease taxes. At the same time, they promise to increase the minimum pay (as Romanian parties always do around elections) from 1250 lei to 1750 lei in 2020, and to increase pensions for retirees from 871 lei to 1400 in 2020. Decrease the state income, increase public expenditures not with investments, but with consumption. Brilliant. Today, PSD lacks leaders with a clean sheet before the law. The party’s most powerful product is the recent mayor of Bucharest – former TV presenter Gabriela Firea. The Alliance of Liberals and Democrats is in truth a party patched together around Dan Voiculescu’s old Conservatives, now led by former USL minister for agriculture Daniel Constantin, and the “liberal” figurehead of former PM and current head of the Senate – Calin Popescu Tariceanu. Newly created, it will stand for election for the first time in December. ALDE is a satellite party of PSD. Its primary purpose is to bring back to life the USL dream, the “grand coalition” that could satisfy the ever-lasting need of Romanians for organic unity. As such, they deem themselves “true liberals”, in opposition to PNL, which was corrupted by the hated PDL addition and which betrayed the true cause of liberalism. On their official website, ALDE makes no mention of an official doctrine or program. Instead, they push forward an economic growth that will only occur under their leadership and various ambiguous reforms that will be carried out, such as in education. Instead, whenever a representative of ALDE is asked to comment upon a matter, he places the entire blame of everything (reality or fiction) on the technocratic government and its supporters. ALDE also gradually turned to a protectionist, EU-suspicious, anti-immigration, borderline xenophobic public discourse that together with their anti-anticorruption (yes, you read that correctly) program forms a truly frightening anti-democratic cocktail. Tariceanu, from his position as head of the Senate, often attacked prosecutors and magistrates, infringing on the liberal separation of powers. Despite being himself prosecuted for false testimony, he urged his fellow MPs to block the requests made by the National Anti-Corruption Directorate (DNA) and surrounded himself and the candidate lists of his party with prosecuted or convicted politicians. After being elected in 2012 on PSD lists and leaving the party in August 2014, 37 year-old Bogdan Diaconu, known for his attempts to make minorities, specifically Hungarians, renounce the use of their own language in public administration, announced the founding of United Romania Party – PRU. The new party slumbered in anonymity until recently, when a surge of financial capital under the guise of controversial businessman Sebastian Ghita, an associate of former PM Victor Ponta and known for monopolizing business with the state in certain areas, joined the party. Politely pushed to the outer rims of PSD by Dragnea, Ponta’s remaining allies, the so called “young wing” – Sebastian Ghita, Mirel Palada, Mihai Sturzu – started migrating en masse to PRU, adopting a staunch nationalist, xenophobic discourse that was previously completely unknown to them. Eager to attract new members, the party put its new capital to work and launched its very own Black Friday campaign, with its “more well off members” giving away smart phones by lottery to people who registered as new party members. This advent only got PRU under the scope of prosecutors following a complaint launched by the Municipal Electoral Bureau of Bucharest. As far as doctrine goes, PRU hails the nation and the community as the source of all progress, wishing to summon around itself all the “positive energies of the Romanian society, because the present fragmentation means the end of the nation.” PRU is strictly against the “atomizing” individualism and the “economic colonialism” of mainly European powers, wanting the “return to normality, to the dignity of being Romanian.” For this purpose, they devised their own doctrine – “national-democracy”, built on “belief, law, order, kindness, respect for labor and the communitarian spirit.” They go on with social justice, economic protectionism, the eradication of corruption, meritocracy, the defense of “Romanianism” and the Christian civilization, rejection of any kind of extremism and national reunion (probably with Moldova). We can conclude that as far as the trend of populist right-wing movements go, PRU is its most representative party on the Romanian political stage. To top it all off, representatives of all major parties – Gheorghe Falca from PNL, Dragnea from PSD and even Clotilde Armand from USR – support the organization of a referendum, most likely after the 2016 parliamentary elections, concerning changing the constitutional definition of family and limiting it to the heterosexual standard. Effectively, that would mean that the state formally recognized only marriages between a man and a woman. As almost all Romanians and Romanian parties are socially conservative (UDMR isn’t, for example), the referendum has a high chance of passing. Brought to new heights of popularity by riding the coattails of president Iohannis following his election two years ago, PNL spectacularly managed to miss its opportunity at becoming a dominant player on the Romanian political stage. This was evident in the 2016 local elections, where the liberal party managed to lose the most visible battleground – the capital city of Bucharest. Despite a new leadership – the young-blood Alina Gorghiu – and the merge with the remnants of PDL, PNL failed at meaningfully reforming itself, with corrupt mayors (like Chereches in Baia Mare) holding the tacit support of the party. Corruption scandals, sometimes involving high ranking members such as Ludovic Orban and Vasile Blaga, ensued. Gradually, PNL and PSD are more and more assimilated to an “establishment” – traditional parties who dominate the system and that can only be distinguished from each other after some effort. Ideology-wise, the party that claims to finally be the long-awaited embodiment of the “Romanian right” resorted to leftwing-style electoral “bribes” to stay afloat – promising an increase in the minimum wage and bigger paychecks for public servants, a category of individuals that traditionally vote for PSD. Their discourse is an eulogy to individualism, initiative and private property, but PNL seems incapable of finding a leader within its own ranks – first it promoted Iohannis, a recent addition, as candidate for the presidency, now it somewhat forcibly ties its name to party-less Dacian Ciolos and his achievements as PM. In its current state, PNL is a disappointment to the pretentious right-wing Romanian electorate. However, the liberals seem to be aware of this situation, arduously trying to reform the party. USR, or the Union Save Romania, is the national evolution of Nicusor Dan’s Bucharest-based USB, or Union Save Bucharest. After the 2016 local elections, Nicusor and the rising star of the party – the French-born former businesswoman Clotilde Armand, who lost her bid for mayor of Sector 1 to the PSD candidate allegedly due to petty electoral fraud – traveled the country, reuniting small local parties and activists into a skeleton framework of branches under the umbrella of USR. However, as the party grew, it also turned down the majority of applicants – something which would be unconceivable for other parties, which pride themselves with their membership. USR’s main focus, naturally as former NGO-based activists, is public administration, from which they derive their policies and doctrine on other matters. Neither right-wing nor left-wing, but with pro-business overtones, the party is a strong advocate of transparency, small-scale agriculture and an improved public health system. USR is also pro-European, stressing that solutions to major problems like migration “cannot be individual or national, but European.” Combined with the foreign-sounding names of their leadership and suspicions relating to their financing, USR’s stance made them the prime target of the xenophobic discourse of PRU and ALDE. As they cannot afford to appear too anti-European to the general public, PSD limits itself to criticizing USR for its support for PM Ciolos. USR beats the anti-politics and anti-system drum, understanding by “system” the way in which politics has been done in post-communist Romania, thus primarily by PSD. At every appearance on TV, Nicusor Dan has to deny a future alliance with PNL, which would in some scenarios bring them a stable majority, in order to keep the anti-system allure of his party. His party has been the recipient of votes coming from the disillusioned right-wing electorate, which lost its faith in PNL, and also from the new voters, young people and students who traditionally did not vote. After the demise of the “presidential” party PD-L, which initially was a left-wing modernist faction split off of FSN and led by former PM Petre Roman, most of the party, now right-wing since 2008, was absorbed by PNL, while some went against the current. The few, but vocal supporters of president Basescu formed a party around his image and called it PMP – Popular Movement Party. After a bit of infighting, Elena Udrea, long thought of as Basescu’s second in command, became the leader of the party. Not long after, though, she was forced to quit public life due to being prosecuted for abuse of power and bribery, developing a religious outlook on life after her released from custody. As far as doctrine is concerned, PMP considers itself staunchly right-wing, encouraging business and a decrease in taxes. It also retakes one of Basescu’s old passions – a Parliament numbering only 300 members. Moreover, they speak of Romania becoming an important regional actor, identify the (ambiguous) family as the foundation of Romanian society and stress the importance of “economic independence.” Somewhat critical of the EU despite his previously pro-European stances, former president Basescu has assumed an active role as leader of the party. Having not much to lose, PMP attacks all other parties, cynically making alliances either with PSD or with PNL, depending on the case, on the local level. We end our Student Guide to the 2016 parliamentary elections with some data provided by Initiativa Romania si Revista 22 related to the quality of the candidates. 72 (71.3%) of the 101 ALDE candidates are in at least one of these circumstances: criminal incompatibility, conflict of interest, they changed two or more parties, took actions / made statements against the rule of law. 115 (52.2%) of the 220 PSD candidates are in at least one of these circumstances: criminal incompatibility, conflict of interest, they changed two or more parties, took actions / made statements against the rule of law. 16 (43.2%) of the 37 UDMR candidates are at least one of these situations: Criminal incompatibility, conflict of interest, they changed two or more parties took actions / statements against the rule of law. 73 (38.8%) of the 188 PNL candidates are in at least one of these circumstances: criminal incompatibility, conflict of interest, they changed two or more parties, took actions / made statements against the rule of law or other serious offenses. 11 (10.6%) of the 104 USR candidates are in at least one of these situations: they changed two or more parties or took actions / made statements against the rule of law. Cand te referi la o informatie (numarul candidatilor cu probleme de integritate), corect e sa citezi sursa originara (Initiativa Romania), nu mediumul care a preluat-o (Revista 22). Foarte adevarat. Am corectat si imi cer scuze pentru greseala.